The awe-inspiring Ludlow eco leather bed commands instant attention when entering a room. 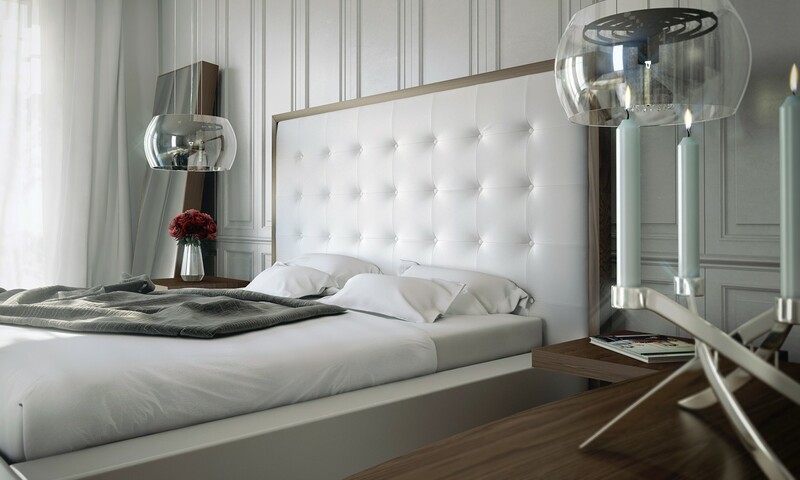 The lavish button-tufted headboard stands five feet tall, elegantly framed in a wood border to match any decor. 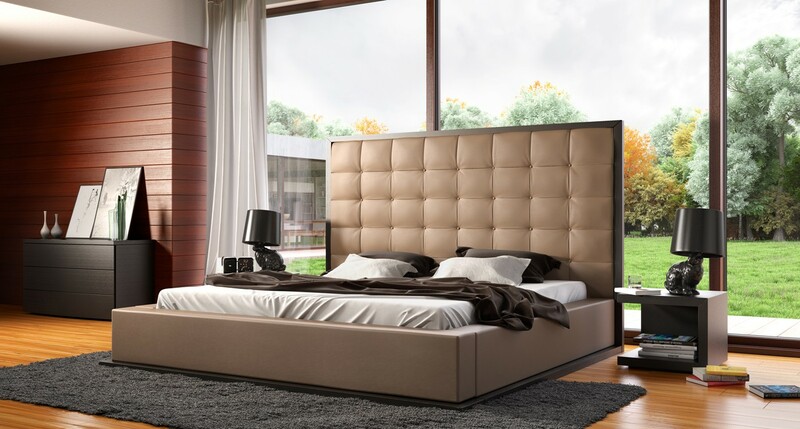 The smooth headboard seamlessly blends into its matching leather base with a wood border along the bottom edge. The mattress sits snuggly atop a solid pine-slat base for stylistic durability and added comfort. Platform height measures 14 inches (3 inch inset). 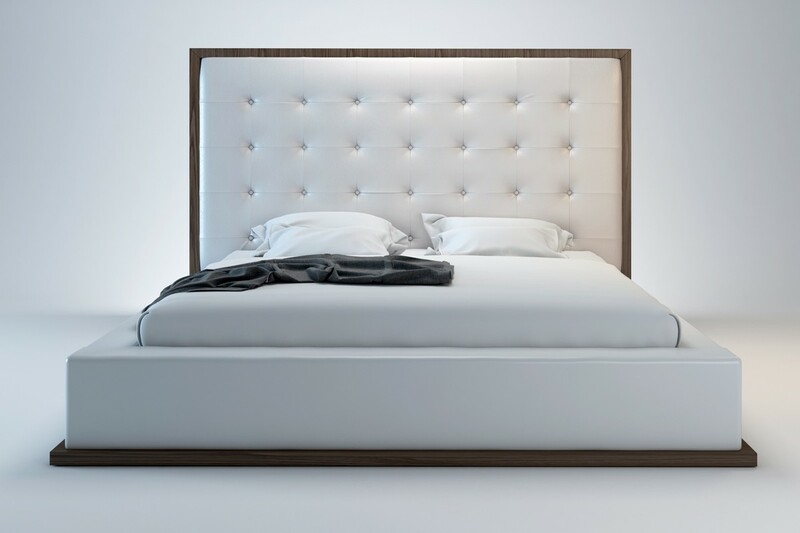 Available in California-King, Eastern (Standard) King, and Queen sizes. 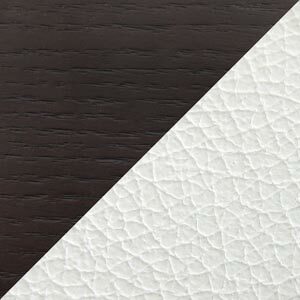 Color combinations include Wenge/White, Wenge/Taupe, or Walnut/White. 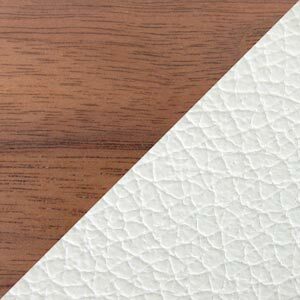 Eco leather material. Assembly required. Mattress not included. Imported.